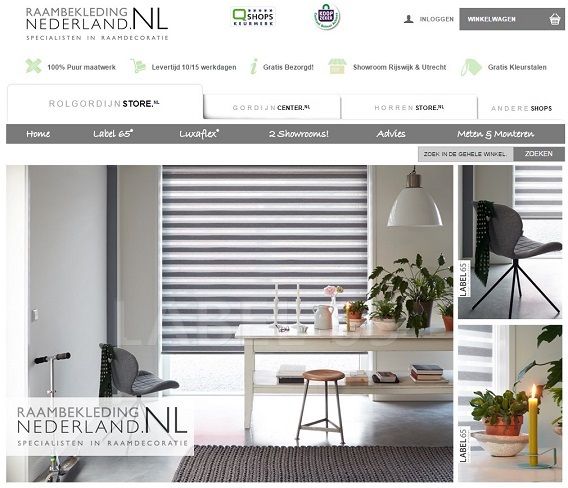 Raambekleding is a Netherlands on-line shops chain selling curtains, drapes, blinds and various accessories for window treatment. 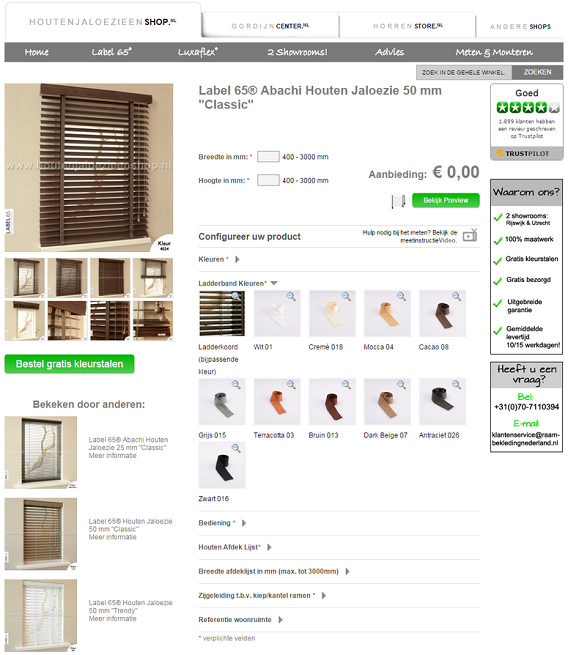 Raambekleding is the store for the window treatment materials and accessories. It is a Netherlands multi-store uniting 13 shops. Our team applied all the modern development technologies for the high-load web-projects, so that all the important processes are automatic and united in one administrator panel. 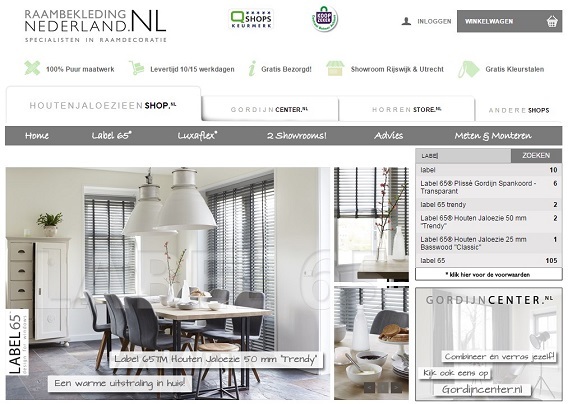 Multi-stores with single shopping cart and administration panel. We simplified the administration process of the store chain. All 13 stores share the same customers base and have single shopping cart (instead of different shopping carts on different domains). Besides this all stores have single administrator control panel which simplified the store chain management. 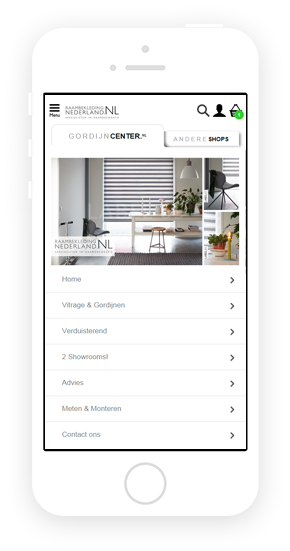 All multi-stores have responsive design and optimized for all modern mobile devices, tablets and smartphones. Besides the standard description and photos we added the product 3D-view feature. This function enables to emulate the treatment variants so the customer can build and see the final product on the screen before the purchase. 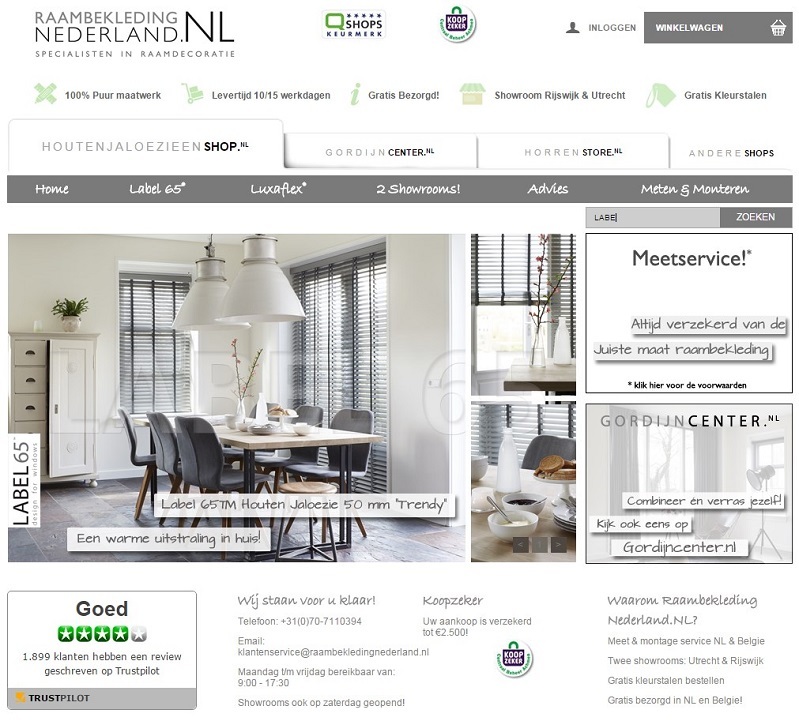 The product page features the future purchase algorithm, from the curtain size and material to the colour and quality of accessories. Improved search suggests hints for various requests and combinations. 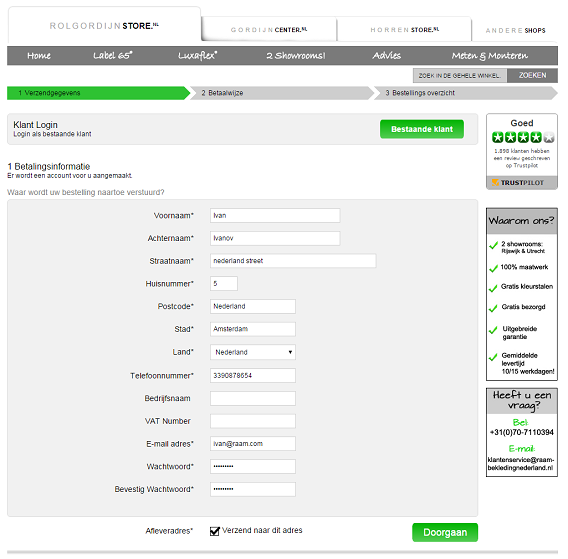 The checkout process was significantly improved and simplified. 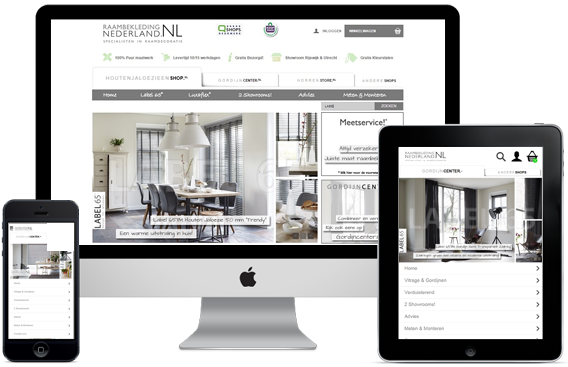 Special step-by-step instructions, AJAX checkout improvements provide smooth and optimized checkout experience for the customers.